Dave Chappelle Is Bringing The Funny To Netflix With 3 New Stand-ups!!! Dave Chappelle is joining several other comedians and boarding the Netflix train. 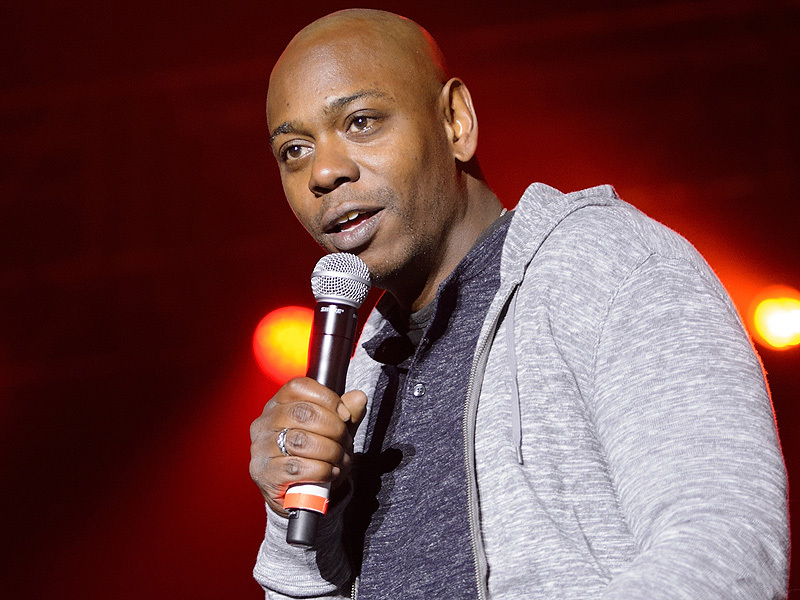 Chappelle will fit right in there with three new stand-up comedy specials. One will be an original stand-up comedy filmed exclusively for Netflix. While the other two have not been filmed specifically for Netflix, they’re never-before-seen and come from Chappelle’s personal library. Not only are Netflix giving fans some new comedy offerings, but they’re giving us Chappelle’s first concert specials in at least 12 years! “Dave Chappelle is a legendary voice in comedy — searing, vital, and now more than ever, essential. Dave’s three new specials promise to be some of the most anticipated events in comedy, and we are honored he will mark his global return on Netflix,” said Lisa Nishimura, Netflix VP, original documentary and comedy, said. If you’re jonesing for some comedy, you can still get your fix while waiting for 2017 and the new Chappelle stand-ups. Just start flipping through the titles in Netflix’s stand-up section and you’re sure to find something that will tickle your fancy. From Chris Rock, Dana Carvey, Patton Oswalt, Mike Epps, Kevin Hart and even some classic Eddie Murphy. This entry was posted on Monday, November 21st, 2016 at 2:20 pm	and is filed under Film, News, Television. You can follow any responses to this entry through the RSS 2.0 feed. You can skip to the end and leave a response. Pinging is currently not allowed. « ‘The Secret Life Of Pets’ Comes To Blu-ray and HD Digital!! !